The ultimate word extraction game. 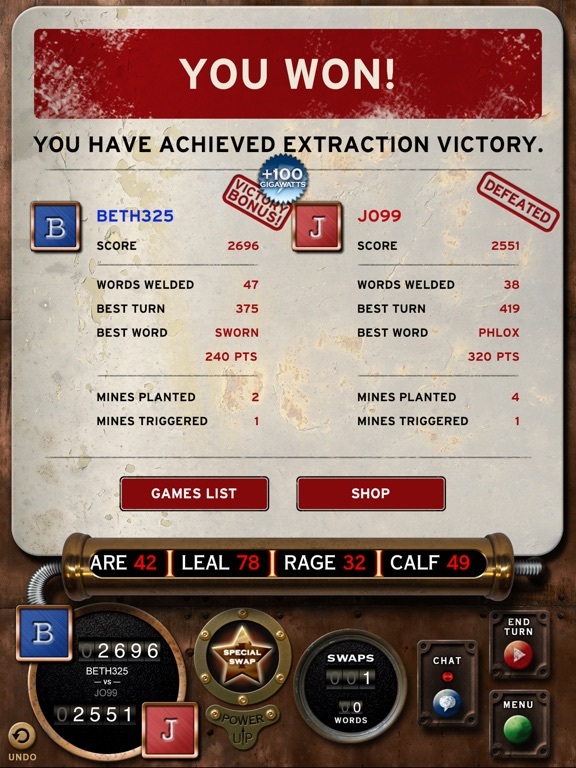 Weld words in the word machine! 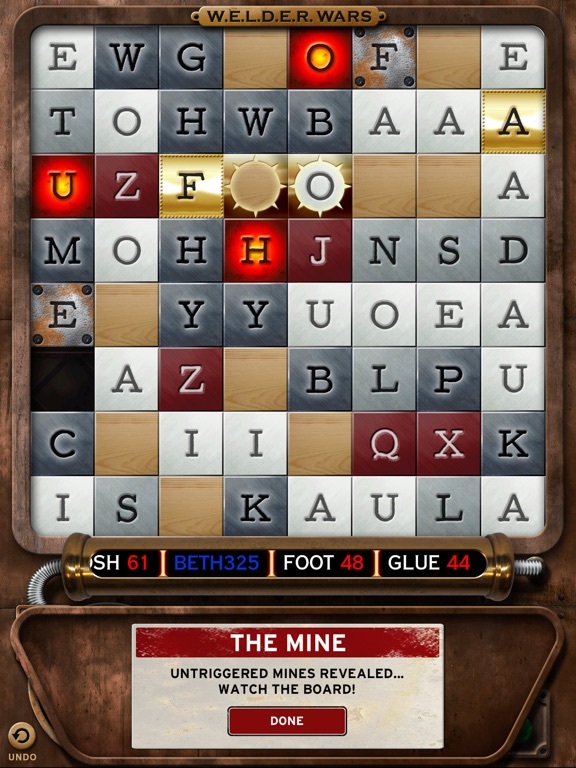 Create clever combos and multiply your score using gem and gold tiles. Increase your vocabulary using the in-built dictionary – discover definitions of words you never even knew existed! Earn powerful special abilities like Group, Reverse, and Jump Swaps, and complete particularly tricky terms with blank wooden pieces. Potentially unlimited gameplay! ***Unparalleled content and value. Thanks for your support! W.E.L.D.E.R. has been the #1 iPad seller and Apple's iPhone Game of the Week, and Game of the Day! 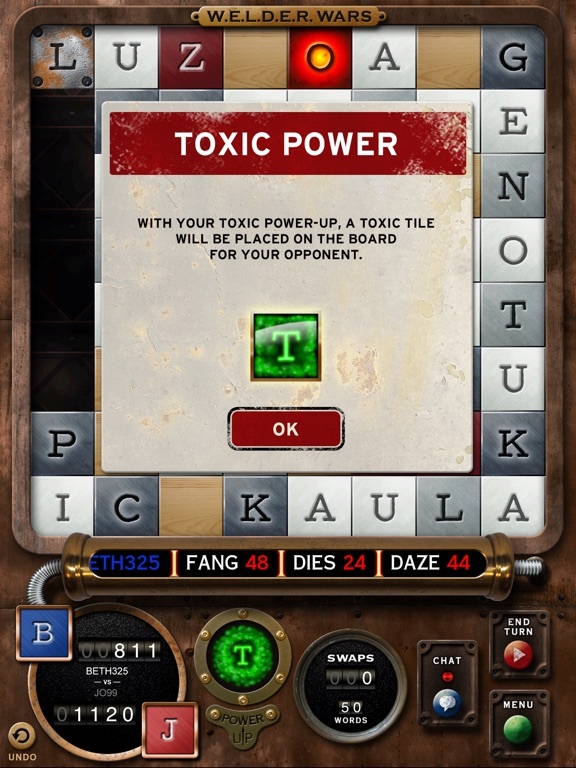 It's the perfect new word game for any new iPhone or iPad! 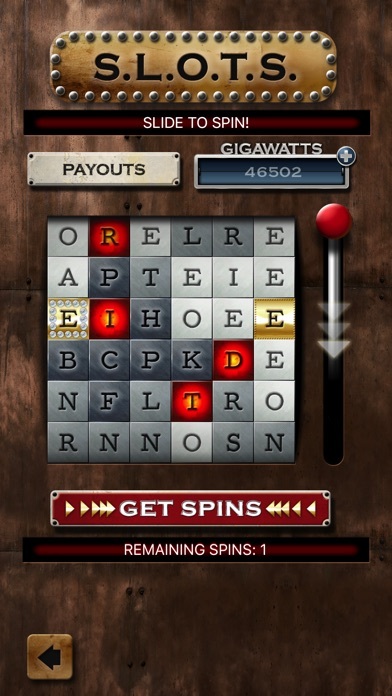 *** UNRIVALED FEATURES • Play against your friends! 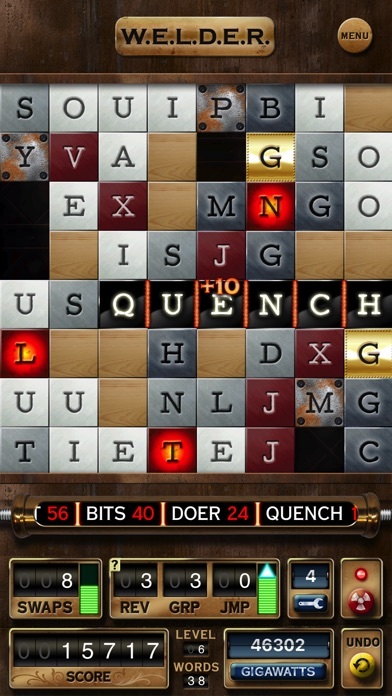 Compete against your Game Center friends or random opponents in two-player matches. 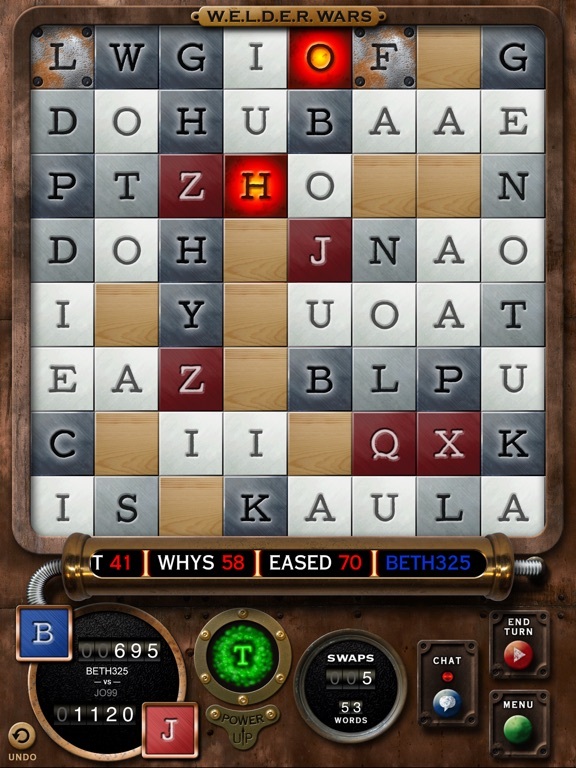 • Adds addictive word game play to classic pattern matching. 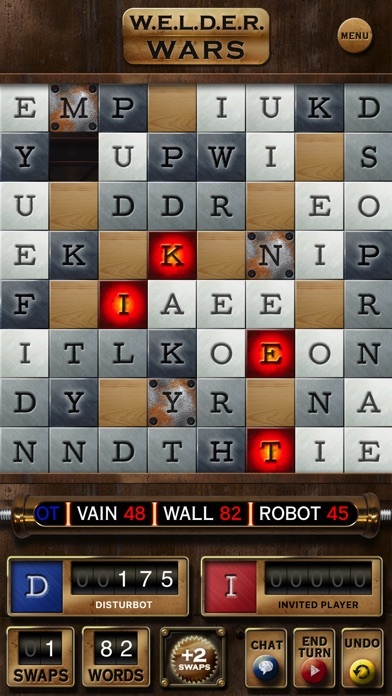 • Use special reverse, group, and jump swaps to form words and clear broken tiles. 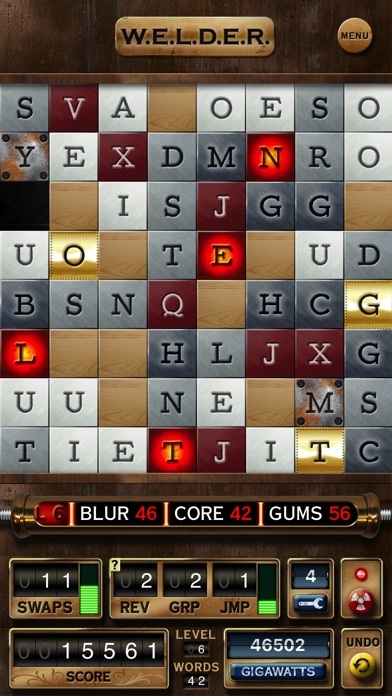 • Use multiplier tiles to score more points and gain more swaps! • Brand new modes including Sandbox (infinite swaps) and Broken Challenge (tough broken tile levels). • Undo your last move and have another go! 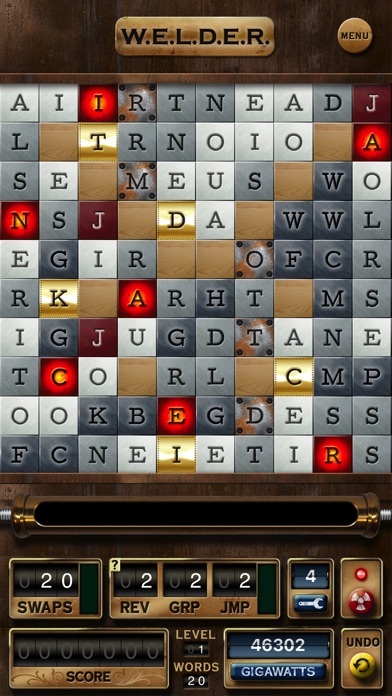 • Use "Apocalypse Swap" to wipe the board once per level and get a new set of tiles. 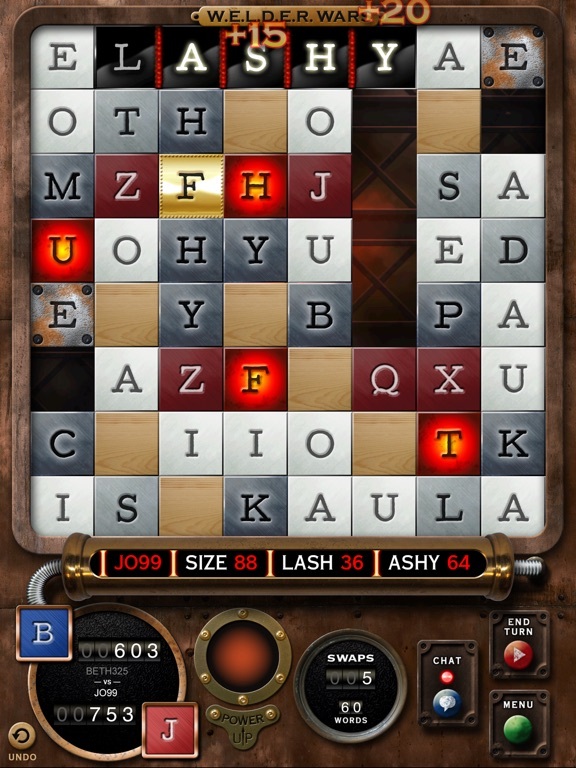 • Combine multipliers in a single word for thousands of points and tons of swaps! • Game Center features include 47 achievements, competitive score comparison and a Palindrome Ranking. • Use iCloud saving to transfer a game in progress from your iPad to your iPhone! • Look up words you form via the built-in iOS dictionary. We are listening to all of your amazing suggestions, and working hard on more updates coming soon! Thank you to all of our happily obsessed fans! 'W.E.L.D.E.R.' Review - Save the Words from Going Extinct!